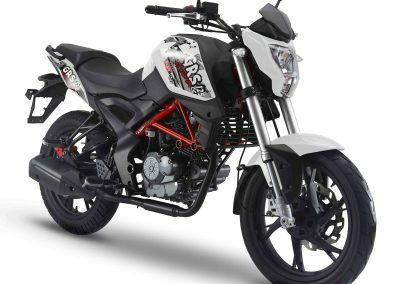 The KSR MOTO GRS 125 is a naked bike with proven technology which outshines many a motorised motorcycle in terms of sporty appearance. The naked bike KSR MOTO GRS 125 impressively demonstrates that sporty design is not a question of engine capacity. 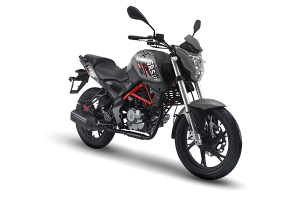 With its edgy styling, the striking headlight and especially the eye-catching red frame, it leaves some of the much larger bikes in the dust, visually speaking. 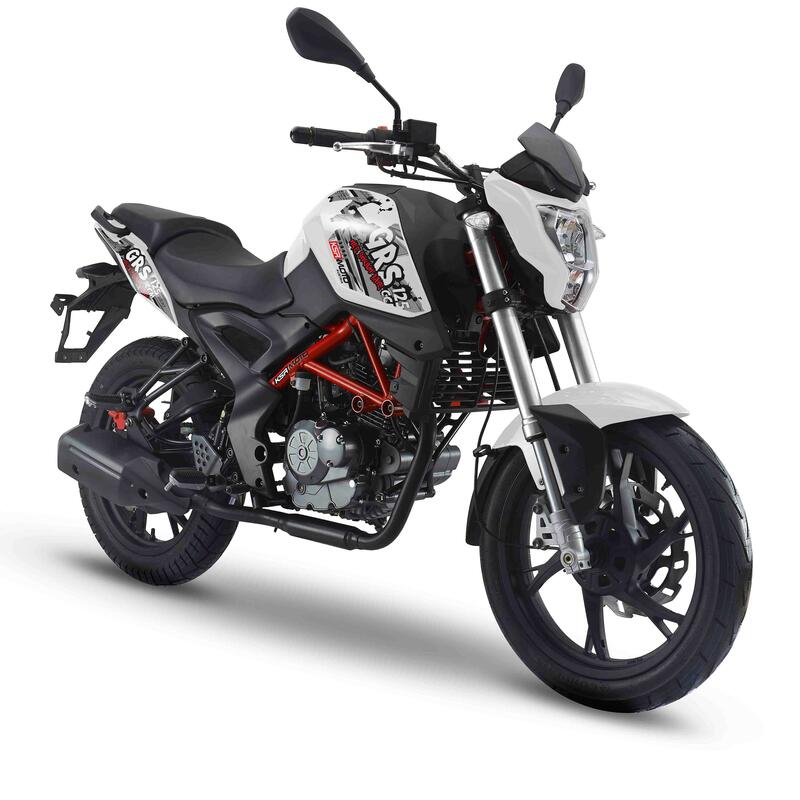 The dynamic appearance is underlined by many equally sporty details: LED taillights and indicators, LCD tachometer, and so on. The upside-down suspension fork and the wave disc brakes guarantee perfect controllability. With its large 17-litre tank and a standard fuel consumption of just 2.1 litres per 100 kilometres, up to 800 kilometres of range is possible! Perfect for longer trips. 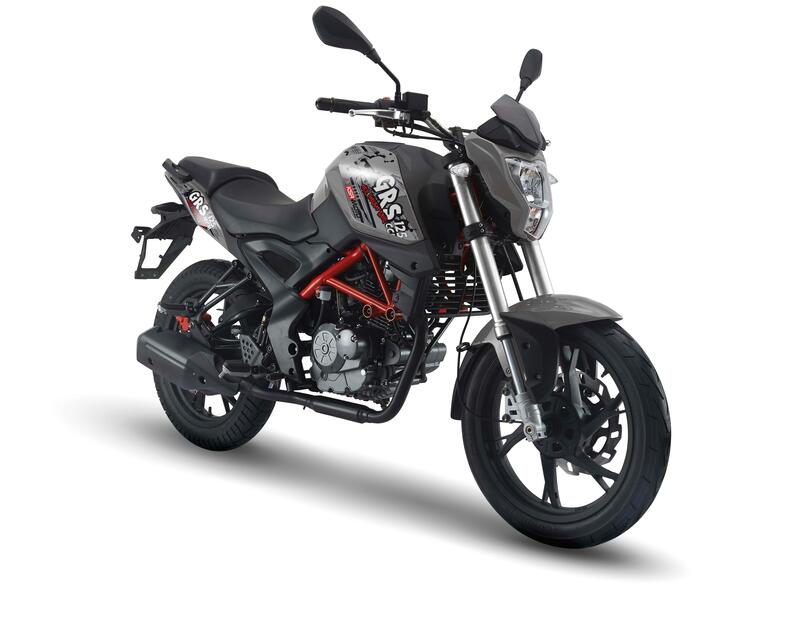 The KSR MOTO GRS 125 is powered by a proven four-stroke engine with low-maintenance air cooling. 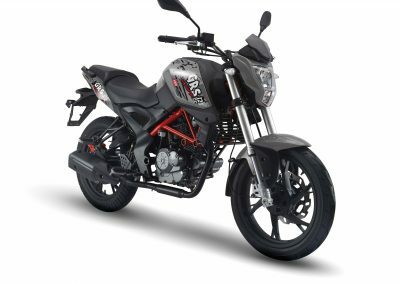 The perfect vehicle for novice riders (in Europe from 16 years with the A1 driver’s licence!) and returnees (eg in Austria with the B-licence with B111 additional training)!